For the Whitworth quarterbacks, Friday’s practice was a breath of fresh air and a lot more. Instead of driving 65 miles to Colfax – as they did on Thursday to escape smoky skies – the Pirates had a chance to drive the field. 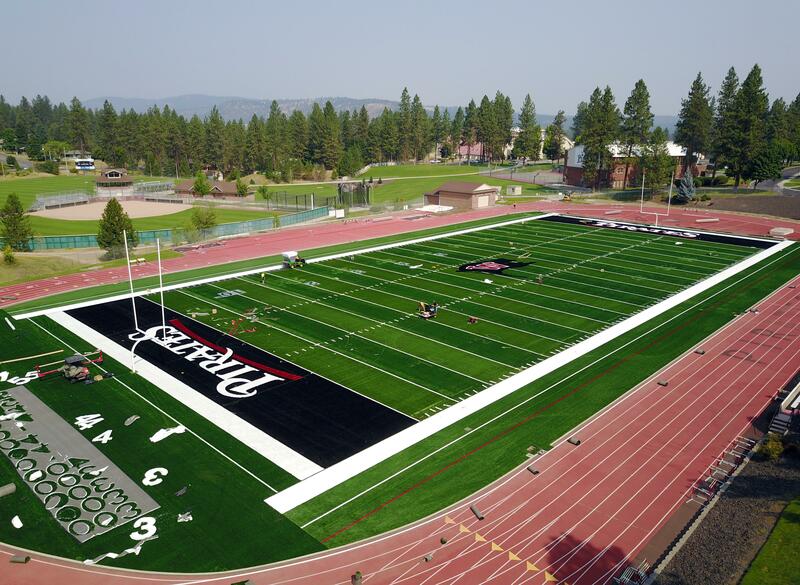 “And we got a chance to throw some deep balls,” sophomore quarterback Connor Johnson said after Whitworth’s first full practice on its home turf at the Pine Bowl. Unhealthy air chased the Pirates indoors for three straight days before coach Rod Sandberg and his staff took them to the Palouse on Thursday. That goes double for the QBs, one of whom will inherit the reins from graduated record-setter Ian Kolste when Whitworth opens the season at home against La Verne on Sept. 1. The other front-runner is Leif Ericksen, a junior from Kalispell who backed up Kolste last year. “It’s nice to get outside with a full team, go vertical and see the defense, which is where we learn the most,” said Ericksen, a 6-4, 217-pound pocket passer. Johnson is bigger run threat, but neither is ready to be pigeonholed in what appears to be the friendliest quarterback competition in the Inland Northwest. “Both are competitors, and that’s what you can go to war with,” Sandberg said. “Leif has been in the program for a year and he’s more of a pocket passer … Connor is more of a Brett Favre back there, extending plays. Also on the roster are freshmen QBs Jaedyn Prewitt and Cole Hinrichs. Weather permitting, the Pirates will be back on the Pine Bowl turf on Saturday and again on Monday after a day off Sunday. Published: Aug. 17, 2018, 3:53 p.m. Updated: Aug. 17, 2018, 5:56 p.m.